Last month, the CBCA Book of the Year 2019 Notables were announced. Perhaps you've even read a few. Maybe you've come across some of these titles in our reviews. In case you weren't aware, the CBCA Book Week theme this year is Reading Is My Superpower. The KBR crew are firm believers of this; how could we not be when each children's story we encounter has the power to transport, enlighten, enthrall, entertain and mystify. To celebrate the Notables List we asked each of our team members to think about their favourite award category and predict which of the long listed titles would be shortlisted in the announcements next Tuesday. And because it never hurts to have an extra superpower or two up your sleeve, we asked our reviewing team heroes what their's would be. Here are our picks and powers. What are yours? Superpower: Flying - anywhere, anytime, any height. I’d love to have the ability to be in more than two places at the same time too but that would confuse everyone, me included. Superpower: Ability to fuel myself from drawing and reading instead of sleeping… then I could stay up all night doing those things and still feel A++ in the morning! Shortlist Pick: Beware the Deep Dark Forest (Early Childhood)- It's a favourite in our house with many repeat read requests. Superpower: Time travel -- only to be used judiciously, of course! Shortlist Pick: Cicada by Shaun Tan (Picture Books). Although, I think there are quite a few contenders for the short list (The Feather, Drought, Chalk Boy). Superpower: To be able to ease other people's pain. 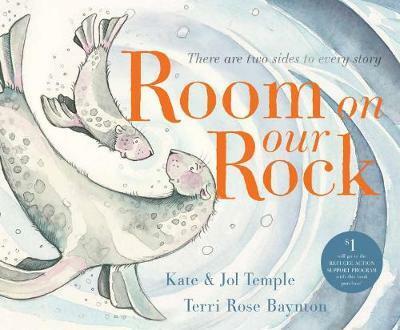 Shortlist Pick: Room on our Rock (Picture Book) - clever and wise and makes you gasp with a-ha moments and the amazement of realizing the flip side of hate and rejection is truly love an acceptance. Plus, Everything I've Never Said (Younger Readers) because the character of Ava is feisty, fabulous and fun, with the most divine heart and soul, and every voice deserves to be heard. Shortlist Pick: Maya & Cat, by Caroline Magerl (Picture Book). 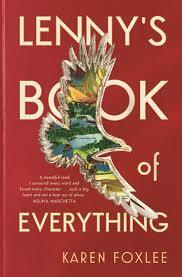 It is everything I love in a picture book: warm, quirky, poetic, exquisite! Superpower: The ability to duplicate myself so I could do everything that I'd really like and not have to bump things down the priority list. I could spend time with my family and friends, especially see my Grandmother every day. Then as I'm duplicated I could still manage to make time for self-care, writing, painting, reading more books, volunteer more and attend all the book events, even those not near home. Superpower: Ability to perceive with the heart and mind of a seven year old, no matter what I was looking at. Shortlist Pick: A Song Only I Can Hear by Barry Jonsberg, but I expect to see Scot Gardner’s Changing Gear and Steve Herrick’s The Bogan Modrian in the shortlist, too. Superpower: Wisdom. To know the right course of action in every situation would make life so much easier! 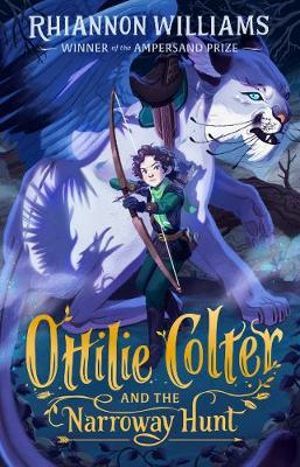 Shortlist Pick: Ottlie Colter and the Narroway Hunt (Younger Readers) I couldn't put it down, and I'm still thinking about it months after I read it! Superpower: I would love to be able to click my fingers and transport myself anywhere in the world. I’m not a huge fan of plane travel. Shortlist Pick: The Bogan Mondrian by Steven Herrick and Between Us by Clare Atkins, (Older Readers). Superpower: Ability to read twice as many books as I do, and remember what each one was about. Superpower: Ability to freeze time, especially weekends so we could all enjoy that extra time with our families or to have the time to celebrate the successes in life without the world rushing by at a million miles an hour. Superpower: Invisibility. No, not to listen in on conversations (although that may occasionally come in handy), but to be able to have quiet moments without being interrupted. 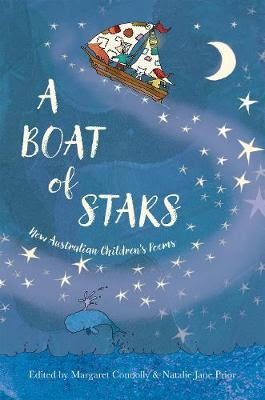 Shortlist Pick: A Boat of Stars (Early Childhood). It’s great to see a beautifully illustrated collection of new Australian poetry for children. The general consensus being this year's Notables List is particularly strong with many deserving titles making it exceptionally difficult to choose a winner. This also means that the treasury of children's stories has never been stronger. KBR congratulate all of our incredible children's writers and illustrators on their nomination and applaud them for enriching children's literature so profoundly.